Bryant Park Blog: We Need Your Help! 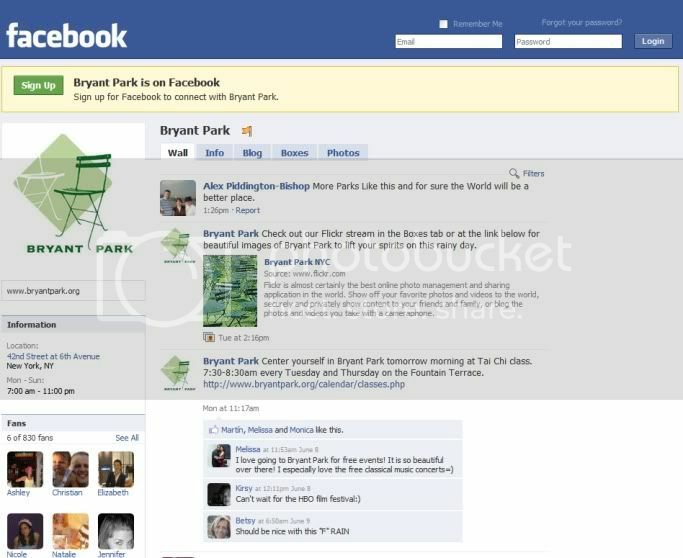 Starting Friday at midnight, Facebook is offering custom URLs to pages with over 1,000 fans and we want you to be able to find us at www.facebook.com/BryantPark. We already have over 800 fans, but to get to 1,000 we need you. So become a fan and don’t forget to tell your friends and family, too. Plus, as a token of our appreciation we’ll be raffling off a $15 ‘wichcraft gift card to those who post “I helped Bryant Park break 1,000!” on our wall.